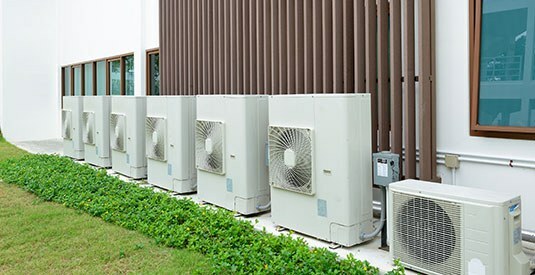 Recoair commercial air conditioning can help you achieve the perfect working climate for your business. A comfortable workplace is a productive workplace - let's talk today. Recoair delivers bespoke air conditioning solutions to suit your individual requirements. We can advise you on the most cost effective way of achieving the results that your business requires. We believe in keeping things simple, which is why we strive to make your job of engaging with an air conditioning company easy and uncomplicated. Why? Because we know that you’ve got better things to be doing with your time than filling your head with all things air conditioning, right? You don’t have to become the expert. That’s our job. So we will take the time to discuss your requirements, offer solutions and set out the various options available to you. We will serve you with a quote, free from techno-babble and confusing preconditions, and provide a schedule of works so that you know how long things are likely to take. We offer a fantastic price match policy which guarantees that you can get the best deal for your company. We also offer 12 months parts and labour guarantee on all new installations. This can be extended to 3 or 5 years when combined with our ongoing preventative maintenance arrangement. So give us a call and find out how our air conditioning can improve the climate for your organisation.